UNPO: The EU Acts on Tibet - But Too Little, Too Late? The EU Acts on Tibet - But Too Little, Too Late? As the EU finally makes moves urging China to begin a meaningful dialogue with China, it remains unclear just what will be achieved in the face of Chinese intransigence. The European Union will invite the Dalai Lama for talks to Brussels, French Foreign Minister Bernard Kouchner said on Tuesday [1 April 2008], after EU foreign ministers called for "substantive and constructive dialogue" between China and Tibet's spiritual leader. The 27 EU foreign ministers will invite the Dalai Lama once a decision has been made by the Slovenian EU presidency which is expected shortly, Kouchner told RTL radio. 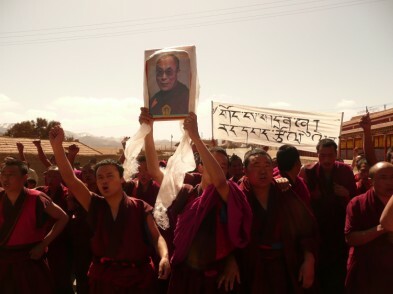 "As the Dalai Lama does not ask for a boycott (of the Olympic Games in Beijing) nor Tibet's independence it is time to go back (to dialogue)," he added. The foreign ministers, meeting in Slovenia on Saturday [29 March 2008], voiced their strong concern at recent events in Tibet where, according to Tibetan exiles, some 140 people have died in China's crackdown on protests there. The European Union called for "substantive and constructive dialogue which addresses core issues like preservation of the Tibetan language, culture, religion and traditions." On Sunday Chinese state media said China voiced "strong dissatisfaction" after the EU foreign ministers' statement. "The Tibet issue is completely China's internal affair. No foreign countries or international organizations have the right to interfere in it," said foreign ministry spokeswoman Jiang Yu, according to Xinhua news agency.